you get my point ;)). It’s so stinking easy to do. You see this gorgeous photo of a quilt online – one you’d love to make – and every part of it is perfect. The points are perfect. The color palette is perfect. The photograph of it is perfect. The person posting it is perfect. Everything is PERFECT. Except you of course. You can’t make that quilt. You can’t pick that lovely of a color palette. You can’t quilt to that precision. You can’t take photographs that don’t look like they were taken in a dungeon. You are so NOT perfect, it’s hilarious. Social media is this interesting dichotomy of real social situations. We had a really good conversation about social media and comparison during a guild meeting. I’m so appreciative our leader, Erin, had us tackle this topic because I almost felt like there was a collective sigh of relief at the end, like hey, I’m glad I’m not the only one who feels that way sometimes. So how do you stop the comparison trap? How do you appreciate what benefits social media does create for the quilting community? Here are a few ways I try to do that as I engage on Instagram. 1. Look beyond the picture. Everyone who posts is just another human being too (unless they are one of those terrible bots – ugh). They have their own challenges. They have their own struggles. They are not perfect. They may be scrolling through social media channels too feeling like their work stinks. My perspective of their work is different than their perspective of it. 2. For every pristine picture I see, a mistake or mess lurks somewhere. Many of us – myself included – post the highlight reel. If I have five hot seconds to sew, I want to show you something cool I did make and not some piece of junk I’ll be ripping out and starting over on. 3. In everything in life, someone will always be “better than you.” I’ll always find someone I consider a better cook, a better parent, a better volunteer, a better athlete, a better this, a better that. So what? There probably is! Who knows what sacrifice it took them to get there? Maybe they’re better because naturally they are. Maybe they spent 525360985498 hours on it and lost friends, lost a job, lost something else in order to gain that. Is that loss worth it to me? It may not be. I also caution – just because a piece truly looks perfect and IS perfect – you again have no idea what struggle that person is riding right now. Maybe they’ve lost a parent, a spouse, a child or a friend and they’ve poured their heart into making a quilt. Maybe they have another debilitating issue taking over their life and working on a quilt and making it out-of-this-world spectacular is how they cope. Let’s practice grace over judgement. 4. Now, on the flip side to #3, YOU are also really good at something too! Someone admires your work. Someone looks at your quilts and says wow – I wish I could do that. I try to remind myself that I shouldn’t feel discouraged or disgusted with my work; it might be inspiring someone right now. 5. There’s room for everyone! There’s room for that person with the sharpest points you’ve ever seen. There’s room for that person who designs amazing patterns. There’s room for that person who’s starting their very first paper piecing project. There’s room for that person is the literal rock star of the quilt world. And there’s room for ME. 6. Look at successful people as sources of inspiration. You’re feeling jealous of that person who just achieved what you want? Then use their story as an inspiration to push yourself to that level of awesomeness! I am so lucky to be surrounded by far more successful quilters than me. Do I ever feel bad because I’m not at their level of awesomeness? Sure. But I never dwell there long because I know that if I spend five minutes really listening, learning, asking questions and genuinely admiring their work, I’m going to learn something valuable that’s going to help me. Maybe these idols could be a resource for you! You can always ask questions – if they choose not to communicate with you, that’s okay (remember, they could be swamped with 24958734958 other questions). I find that the quilting community is very generous though and I imagine along the way you’ll find people glad to help you. 7. I have a skill that not everyone does (and you do too!)! Take a minute to appreciate that! I’m a runner too – so whether I’m out for a run where I’m berating myself for not running fast enough, far enough, whatever – I remind myself I’ve gone farther than the person sitting on the couch. When I’m upset about my quilting, I remind myself of those who’ve never even picked up a needle and thread. I’m miles ahead of them right now. 8. Use my talents for GOOD! Even if someone is a better quilter than me, we can ALL use our SUPER POWER of quilting for good. Teach others to sew, donate blocks / quilt tops / completed quilts! This is also a tip I have for getting your sewjo back! 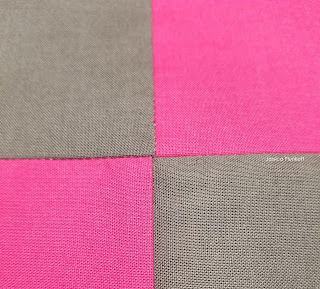 I have a blog post with four other tips to get your sewjo back – have a read if you like! 9. Take a break from social sometimes. An IG quilty friend sent me a message describing how she disconnected the main internet from the house so that she doesn’t constantly look at social media and waste time online. She’ll connect via a hotspot to check in on Instagram to engage with her friends, gather any resources she needs and then just shut it down. Sometimes I just step away for an hour, a day or a week and it helps me reset. 10. Meet up with quilty friends in real life. When I am sewing with a friend, we’re both bound to eventually make a mistake, get frustrated, need help – and that’s a great reminder THAT is reality. 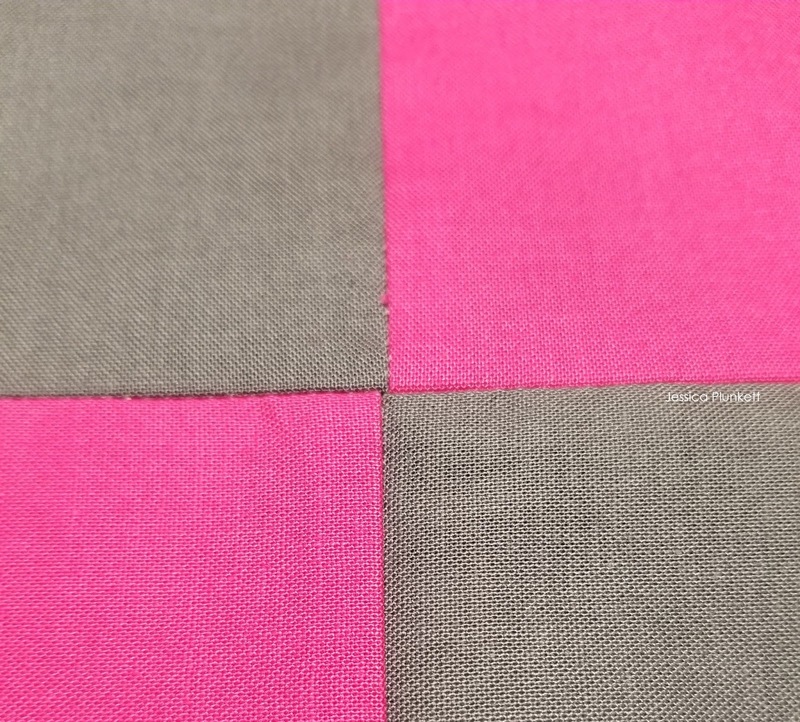 Everyone has to rip out a seam every now and then or recut fabric because they made an error the first time and so on. Just having the comradery and having a good laugh about any mistakes is nice. If you don’t have any quilty friends in close proximity, see about doing a video sew day with a faraway friend!